We know how essential Home Staging is, especially when statistics show us that only 10% of home buyers can visualise the potential of a home and that a furnished property will help attract significantly more enquiries from the outset of the marketing process. Although Home Staging is famous in the US and has been a recognised sales-booster for over 30 years, the activity has become more popular in the UK only more relatively recently. Few may be aware, but there are companies that have been operating in the British market for some time, and although new home staging and furniture rental companies are popping up across the UK , there are none that can match the resources available to David Phillips and are the most prominent supplier that comes to mind bearing in mind the sheer volume and scale of work they undertake. Established in 1998, the David Phillips Group is the UK’s largest specialist furnishing provider to property professionals nationwide. They have progressively expanded since then and added additional services and value to their clients, The rental department started operating 5 years ago and is already the leading provider in the home staging industry. We spoke to Nicky Bloom, Director of Rental at David Phillips, to hear more about the company’s success and to find out what are the plans for the future. Home Staging Association: Please describe David Phillips and its product offering. 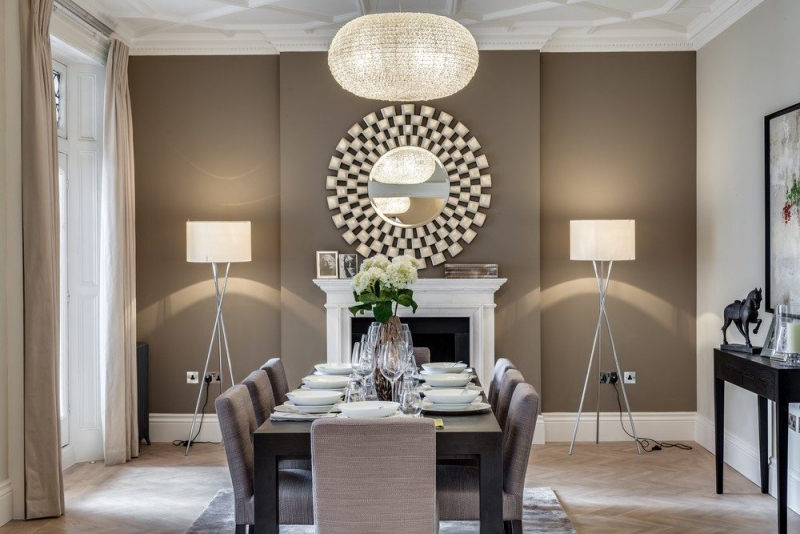 Nicky Bloom: David Phillips is the UK’s largest and most resourceful furnishing and specialist provider to the residential sector, we offer a market leading home staging service. We have the most extensive range of stock in the industry and aim to offer the shortest possible lead in times, backed up by industry leading pricing and levels of service. HSA: What challenges and successes have David Phillips experienced since its launch? NB: Our product and offering have developed significantly during the last 5 years. We offer a nationwide service and all installs are project managed by our in-house styling team. We offer a cost-effective solution starting with 1 bedroom flats up to multi-room mansions. We aim to complete all of our installations within 1 day and our lead is generally 1-2 weeks. HSA: Why is David Phillips different from other furniture rental companies? NB: Extensive product range, speed of service and our pricing. We are constantly evolving and refreshing our look and offering to ensure we stay at the forefront of the industry. HSA: In your opinion, what is the key to be successful in the Home Staging business? HSA: What's next for David Phillips and the company's outlook for the future? NB: As the property market gets more challenging and it takes longer for properties to sell we are finding there is an increasing demand for our service – we need to be able to continually extoll and demonstrate the benefits of home staging both for new and second hand properties and can show from experience and the data we collect the benefits it can bring in both selling properties quicker and helping achieve best prices. David Phillips is the Platinum Sponsor of the Home Staging Forum UK 2018 and HSA’s Founding Member. To learn more about David Phillips' furniture packages and their projects please visit their website.